By default the SAFE appliance comes with a static IP address of 192.168.5.110. To change this, you will need to login as root. Begin by assigning the root user a password. Login to the SAFE appliance using Putty or through the VMware application itself using the username ‘safe’ and the password ‘pass2cng’. 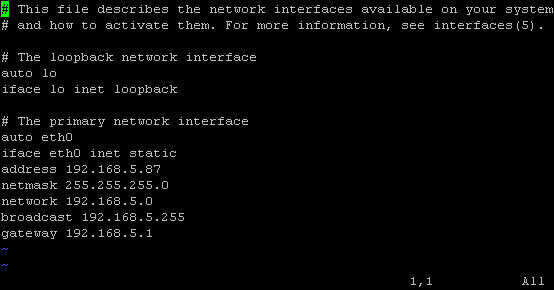 Next, change the address, netmask, network, broadcast and gateway to match your network configuration. When you are done, just hit ESC followed by :wq to save. Use https to connect to the safe web page. You will get a warning message from the browser about the security certificate. This is normal since the certificate was self signed. Just click to continue to the web page. You can also set a Start Period and Finish Period to delete Events based on time frame. You also have the option to delete individual events. This can be done by going to the Events page and to the far right of the Event, you will find the delete icon. Click it once to delete the Event. On the events page, you can filter on Events by a number of different values. Start Period: Fill in the Time/Date that you would like to filter on when the event started. Finish Period: Fill in the Time/Date that you would like to filter on when the event finished. Signature: Sort by any snort signature or one specific snort signature. Source IP: Address where the attack originated from. Destination IP: Address where the attack targeted. 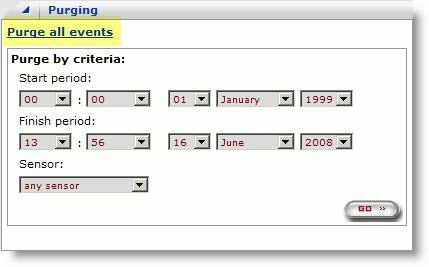 Events per Page: Display number of Events for the page. You can also auto fill in the data using the links to the right. Clicking on the links will auto fill in the data in the filtering form. S.A.F.E. does not limit the number of snort sensors you can use. By default there is a firewall enabled to block access to the MySQL port. To enable access, there are a couple methods. You can edit the firewall configuration script and add port 3306 to the accept list. To do this from the shell, first sudo to root. Enter your root password and hit return. Hit the ‘i’ key to insert and add 3306 after 443, so it should look like this. Next hit ESC wq to write the changes. With this setup, the appliance will accept any tcp port 3306 traffic. If you don’t this type of filtering, you can also input a rule to allow port 3306 traffic from specific IP(s). To accomplish this, make sure that port 3306 is not in the inbound TCP port list in the file conf.apf. Go to the bottom of the file and add a line. Hit the ‘i’ key to go into insert mode. You can generate the reports based on time frame. You also have some quick links to input the some time frames. Chart Step is only used for the Event History Chart. You don’t need to configure this for any of the other chart types. The reports are saved as images. To export these onto another document, just right click and save as.